This year’s Candlemas Christingle Service will be held at 4pm on Sunday 3 February at St Mary with St Alban’s Church. Everyone is welcome to attend this wonderful, candlelit service in which all the children receive a lighted Christingle, and where we will take a collection in aid of The Children’s Society. 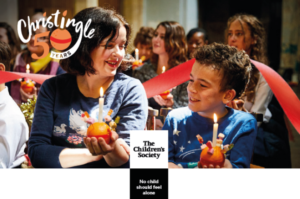 The day before, Saturday 2 February, please volunteer to help with Christingle making at 4-6pm, also at the church. You can sign up at the back of church or by emailing parishhall@stmarywithstalban.org.